The best of ... 2009! 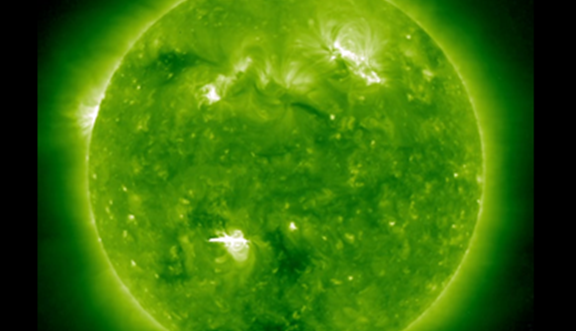 A compilation of the most memorable space weather moments of 2009 can be found underneath. Using the fantastic (J)Helioviewer software, a ***MOVIE*** was created containing one or more clips of each event. 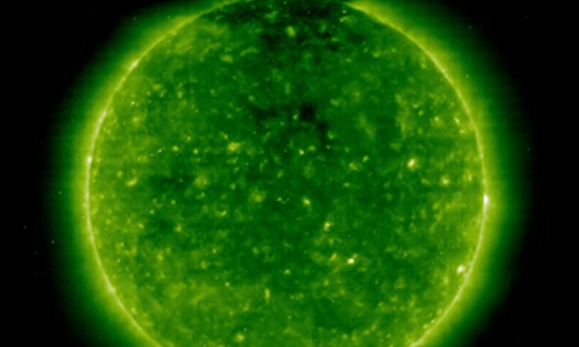 Usually, images obtained by SOHO and the STEREO spacecraft were used. 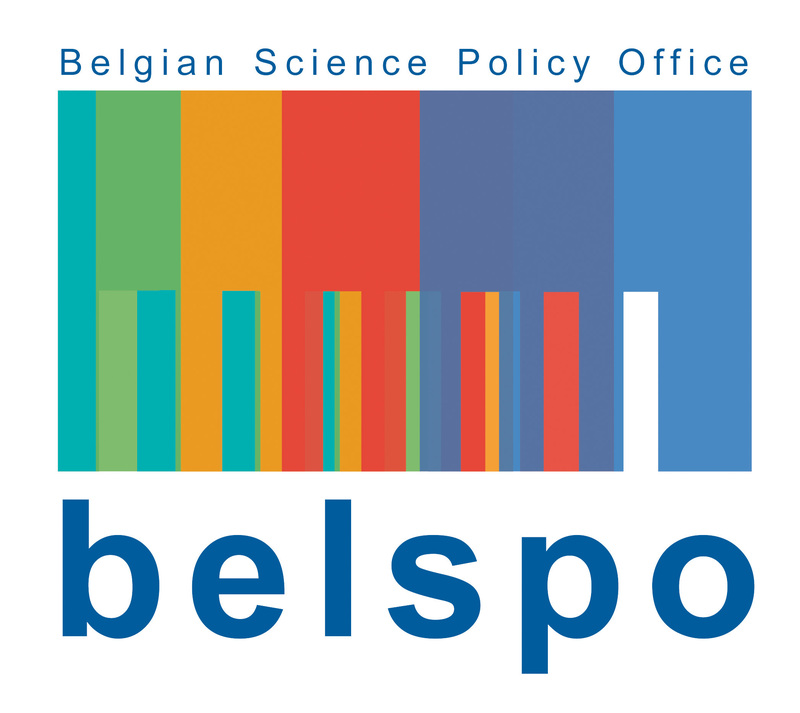 This is a chronological list of punctual events on the Sun, and thus does not contain items such as the end of the Ulysses mission (30 June) or the launch of the PROBA2 satellite (2 November). Despite that the smoothed monthly sunspot number reached a minimum in December 2008, the solar activity remained very low for almost the entire year! In response to the high-speed stream of a relatively small coronal hole, a moderate geomagnetic storm was observed on 22 July. Kp reached 6, and Dst -83nT, making it the strongest of the year. It is one of only 4 geomagnetic storms in 2009, the other 3 taking place on 13 March, 24 June (from the same coronal hole), and on 30 August. In those three cases, Dst remained below -50 nT. The highest wind speed was observed on 27 February (696 km/s). According to the SIDC statistics, the already very deep solar cycle minimum reached rockbottom when from 31 July till 31 August (32 days) not a single sunspot was observed. A total of 262 spotless days were recorded, ranking it on the 5th place in years with most spotless days (since 1849) just behind 2008. The sunspot group that ended the spotless period is NOAA 1025, appearing in the northeast solar quadrant. 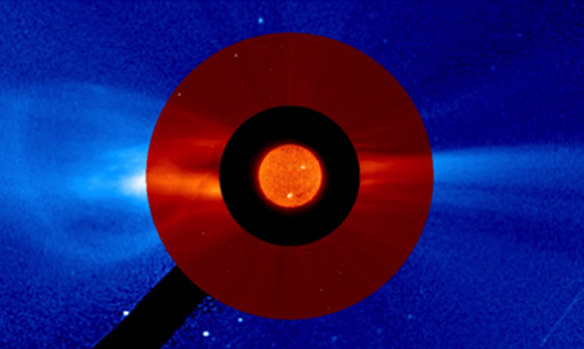 From late afternoon on 26 September till the early morning hours of 27 September, a spectatular filament eruption was observed by the STEREO spacecraft. Now separated from each other by about 120 degrees, STEREO-A saw the eruption in profile (prominence eruption), whereas STEREO-B saw the eruption on the solar disk. The SOHO coronagraphs recorded a fine coronal mass ejection (CME) which is not directed to Earth. A rather strong explosion took place on the southern solar hemisphere near the central meridian. A coronal dimming ("transient coronal hole") was observed, and coronagraphic imagery showed material being ejected mostly to the south. 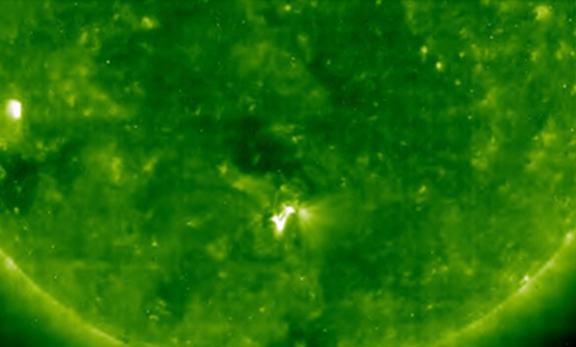 Interestingly, the eruption seemed to result from the eruption of the spotless region filament, and was not associated with an x-ray flare (flux remained below A-class level). NOAA 1029 appeared on disk on 23 October and evolved into the biggest sunspot group of 2009 before rounding the west limb one week later. On 29 October, it had an area of more than two times the total surface area of the Earth. It also was the most flare productive region of the year, producing a total of at least 7 C-class flares. Five C-class flares were recorded on 27 October. The region remained active on the backside of the Sun, where STEREO-A revealed dynamic and quite high coronal loops. Over the entire year, 20 and 21 December marked the only 2 days during which three sunspot regions were visible: NOAA 1035 and 1038 in the northern hemisphere, and NOAA 1036 in the southern solar hemisphere. 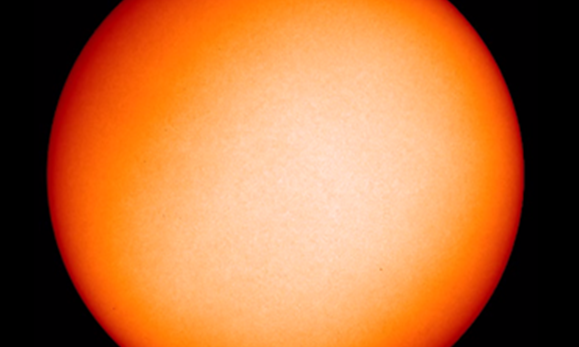 Not surprizingly, the highest sunspot numbers of 2009 were also recorded on those two days. NOAA 1035 would produce the strongest flare of the year, a C7.6 on 18 December. 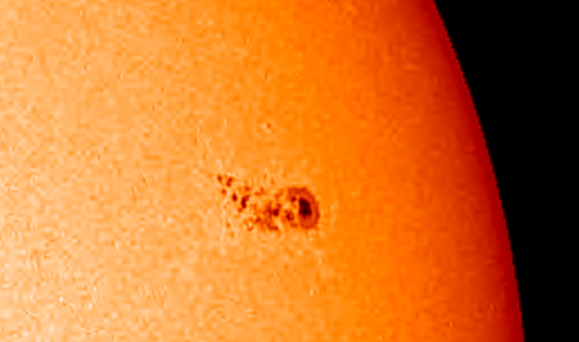 The Sun would not produce a single M-class flare in 2009. Five C-class flares (incl. a C7 flare from NOAA 1036) were recorded on 22 December. The increased solar activity over the last few months seemed to suggest a gradual awakening of the Sun.